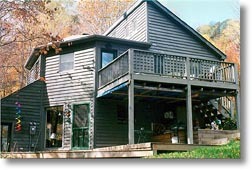 Welcome to your very own private Mount Rogers Retreat nestled in the coves of the Blue Ridge. Brooks Haven is a modern home with a rustic flair, tucked away on 32 private acres. It has four bedrooms with a pullout futon and accommodates up to 10 but is just as cozy and romantic for a honeymoon getaway. Large decking is available on two levels, which makes for lively cookouts; a moment of solitude curled up with a book or stargazing on crystal clear nights a must. A passive solar design straight from the pages of Mother Earth News floods the home with light and warmth. Shade trees make for comfortable summer days and crisp mountain air makes perfect sleeping weather. Here's your home away from home. 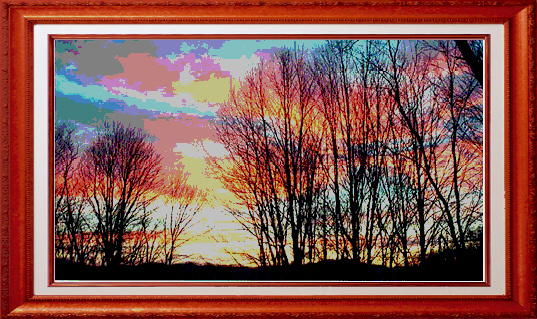 Our sunsets are as pretty as a picture.